The defence industry is working intensively on lighter body armour. Have you ever complained at having to walk to work in summer in a suit and tie, carrying a moderately heavy bag with your laptop and a few files? Imagine what life is like for a soldier, marching for hours on end through desert in countries such as Iraq, in blistering temperatures of 60˚C or higher. Just to keep moving in this heat must be almost unbearable, but you also have to carry equipment such as a heavy weapon and ammunition, a radio and batteries, and your water. To make matters even worse, you are wearing a heavy helmet and body armour designed to keep you safe from ballistic impact, which add even more weight to your load. 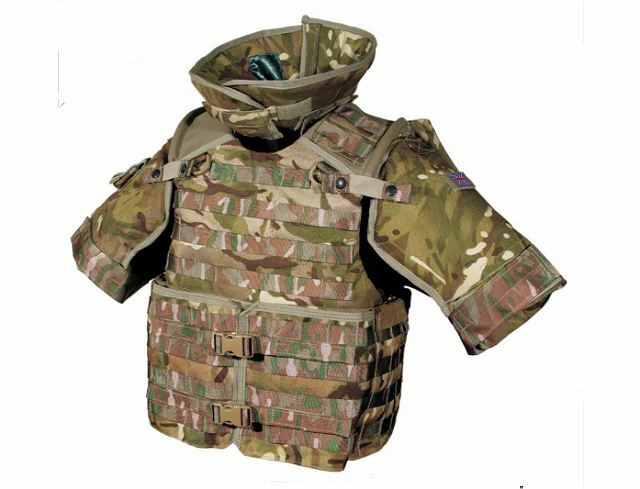 To reduce the burden on infantry soldiers, the Ministry of Defence recently announced it will be introducing a new body armour system, known as Virtus, to replace the existing Osprey system. Virtus is designed with an even distribution of weight and reduced bulk, to make it easier for soldiers to carry. An integral spine, known as the dynamic weight distribution system, is linked to the wearer’s waist belt and helps to spread the load across their back, shoulders and hips. But perhaps most significantly, Virtus will be 4.7kg lighter than Osprey, and will become lighter still once new armour plates, which are in development, are introduced. Modern armour consists of two layers, a hard strike face that disrupts the structure of the incoming armour-piercing bullet, and a backing layer that catches all of the high-velocity fragments created by the ballistic impact. To reduce the weight of body armour and improve its performance, defence industries around the world are investing heavily in their efforts to develop better ceramic materials and production techniques. One of the enduring problems with ceramic armour panels is that the boron carbide often used to produce them can be inconsistent, according to Colin Roberson, director of Advanced Defence Materials, based in Southam in Warwickshire. Boron carbide is the third-hardest material available to man, with a relatively low density that is similar to window glass and about one-third that of steel. It is a strong crystalline substance that has no capacity to yield, so it cannot deform in front of a bullet, making it the perfect substance for producing armour. However, the material does not always live up to these expectations, and under very-high-intensity ballistic impact the crystals can cleave at far lower energy levels than expected. If the boron carbide is subjected to forces above a certain ballistic threshold, it can break up prematurely along this graphite-like plane, he said. In the US, for example, efforts to develop better boron carbide are being carried out as part of the Army Research Laboratory’s Materials in Extreme Dynamic Environments (MEDE) programme, led by Prof Kaliat Ramesh at Johns Hopkins University in Baltimore. One option for improving the ballistic properties of boron carbide is to alter the thermodynamics of the crystal structure by adding, or “doping” it with silicon, Roberson said. In the UK, a collaboration between Dr Isaac Chang at Birmingham University and Dr Finn Giuliani at Imperial College London, has been investigating the effects of adding silicon in this way to alter the chemistry of the material. The research, funded by the Engineering and Physical Sciences Research Council and the Defence Science and Technology Laboratory, is aiming to prevent the material failing at high pressure or impact, and undergoing what is known as a phase transformation, in which it begins to act like a liquid. “We have already been able to show that by doping it with silicon it will still remain stable even if we compress it to high pressures, meaning it doesn’t collapse,” Giuliani said. He is now planning high-velocity gas gun tests to determine how the doped material responds under impact. The tests, which Roberson will carry out, are expected to begin later this year. Developing more stable boron carbide armour is a complex task, meaning the finished product is not likely to be worn by troops until at least 2020, said Roberson. “But when it does enter service, it will probably take 10 per cent out of the weight of advanced armours,” he added. To improve ceramic panels in the near term, DSTL is working on a new production technique for the material. To produce armour from ceramics, the material must have the highest density or lowest porosity possible, as this makes it most effective against projectiles, according to Simon Holden, the project technical authority for dismounted protection within the physical protection group at DSTL. This process is usually undertaken by sintering in a kiln, using a gas such as argon to pressurise the material. However, the process is time consuming, so DSTL and Kennametal Manufacturing in Newport, South Wales, have been investigating the use of spark plasma sintering, in which electricity is passed through the ceramic to pressurise it in a much shorter length of time. “The machine can make the ceramic for a body armour plate in about two hours, which is a lot quicker than traditional methods,” said Holden. Building panels more quickly and cheaply means the team can test new forms of ceramic armour, including hybrid materials, more cost-effectively, he said. Most ceramics are either oxides, such as alumina, or non-oxides, such as silicon carbide and boron carbide. By combining the two, DSTL hopes to produce better ceramics for a lower cost. 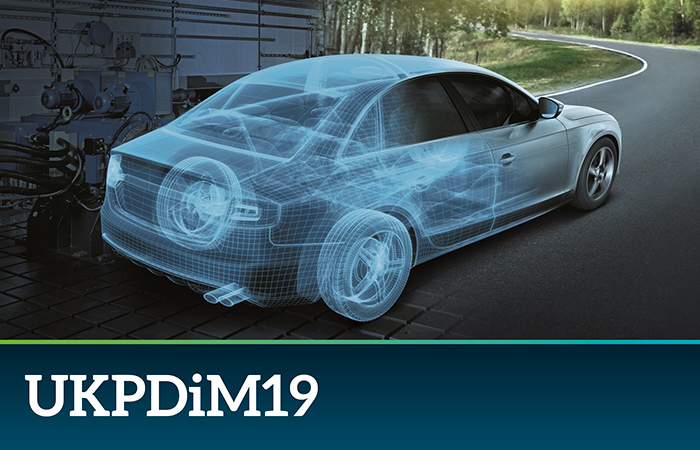 “Some of the hybrid ceramics coming out of [Kennametal] are at the very high end of performance, compared to what we currently have in service,” said Holden, who is planning to carry out firing tests later this year on the hybrid ceramic plates. “We’re going to see how they perform against actual threats, but it’s quite promising,” he said. The industry is also attempting to develop better and more lightweight backing materials to absorb the energy of fragments. The lightest backing layers consist of high modulus fibre composite – a laminated textile pressed into a hard laminate with a small amount of plastic binder. In the past, this has been based on aramid composites such as Kevlar, but over the past 20 years this has gradually been displaced by Ultra High Molecular Weight Polyethylene (UHMWPE) fibre composite laminates, said Roberson. The fibre is produced using a process known as gel spinning, in which the fibre is forced through a spinneret in a semi-molten gel form and then stretched. This process results in polymer chains that remain tightly bound together and are highly orientated, creating fibres with very high tensile strength. 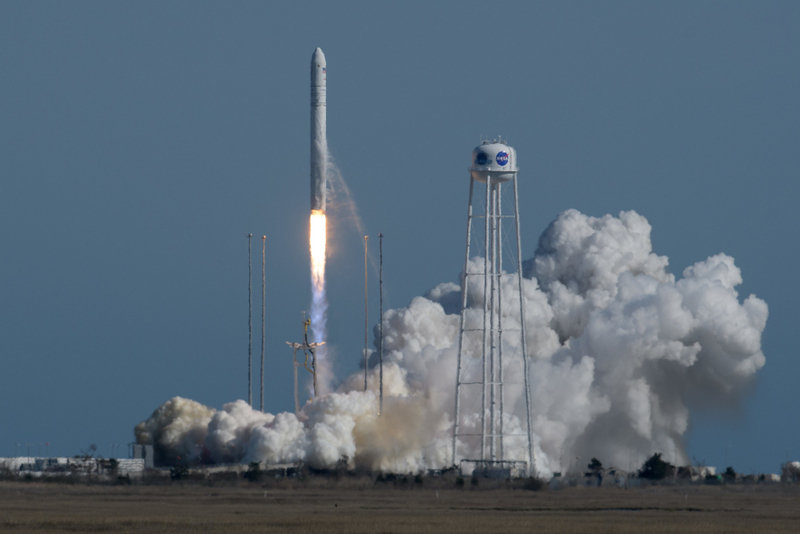 “It is the only fibre that has the theoretical specific strength to span the distance from Earth to the moon,” said Roberson. 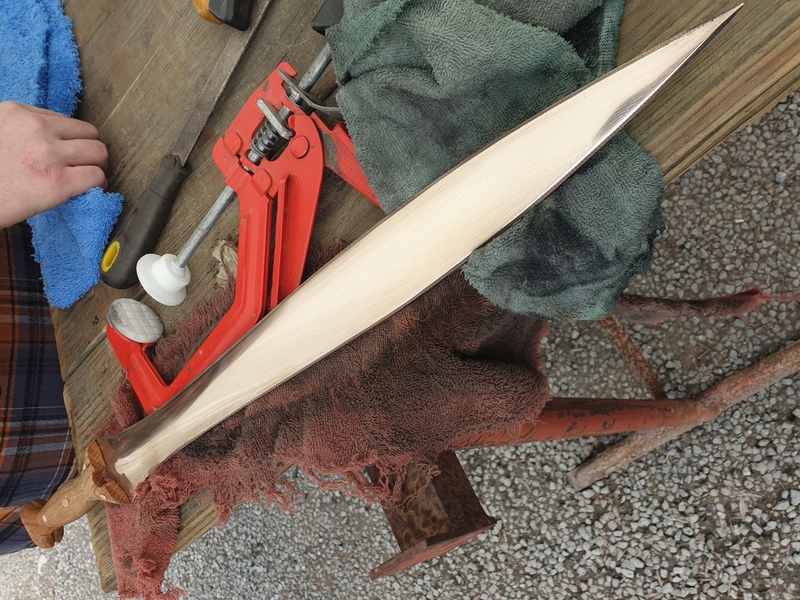 The fibres are laid up in unidirectional layers and pressed, then alternately cross plied, to create a composite backing, which, when combined with a ceramic front, produces armour with the lowest weight and maximum bullet stopping power. However, the level of orientation achieved by the gel spinning process to date means that we can only harvest 10 per cent of the potential of UHMWPE fibre, said Roberson. Further improvements in the backing layers could be made by improving the UHMWPE fibres and better laminate structures, he said. Another range of materials for use in armour that Roberson has investigated, with funding from DSTL, are known as Interpenetrating Composites (IPCs). These consist of ceramic foams infiltrated with molten aluminium. The resulting composites have a mixture of ceramic and metal properties, which can be varied depending on the application, by altering the composition and density of the foams, or infiltrating different metal alloys. The composites are lightweight and can be manufactured into a range of shapes. Adding the composites as the interface at the back of the ceramic within a composite body armour plate could help to improve performance by diffusing the tensile forces in the ceramic caused by overlapping stress waves following an impact. When armour is hit, it creates a compressive wave that travels through the ceramic, causing it to ring like a tapped wine glass, said Roberson. But if the wave then hits a medium with a lower impedance – or ability to withstand the motion caused by the force – it changes from a compressive to a tensile wave. The returning tensile waves form at the outside surfaces of the ceramic tile then overlap, causing the material to fail. The longer the ceramic material survives without failure during a ballistic impact, the more effective it will be in destroying the incoming armour-piercing bullet and protecting the soldier, he said. Replacing conventional adhesive with an IPC, which has a higher impedance value than composites such as UHMWPE, could help to prevent such failures, Roberson added. Adding additional functions to the armour tiles could also help to reduce the weight burden on soldiers, by reducing the need to carry separate devices. To this end, DSTL has designed a concept body armour vest made up of a mosaic of ceramic composite tiles that also act as antennas. The tiles, which are fitted together in an array to form flexible rifle protection plates, would prevent soldiers having to carry both body armour and antennas for communication. The technology would also create a more robust communication system, since transmission could be switched to a different antennae in the case of one tile receiving damage. A group of the tiles could be activated at the same time to form a single, larger antenna. This would make it possible to switch the polarisation of the device depending on the position of the soldier – whether they are standing up or lying down, for example – to improve the communications link. The antennae could also form a so-called active electronically steerable array, such as those used in aircraft radar systems, allowing them to be used for search applications such as detecting nearby improvised explosive devices. Similarly, the organisation has designed a helmet to reduce the burden on soldiers – in this case from heat, while also acting as a sensor. Most military helmets are made of metal or polymer composite matrix materials, which tend to trap heat inside rather than allowing it to evaporate away from the scalp. This can be a significant problem, since evaporative cooling is the only method humans have of losing heat, once their bodies reach a certain core temperature. 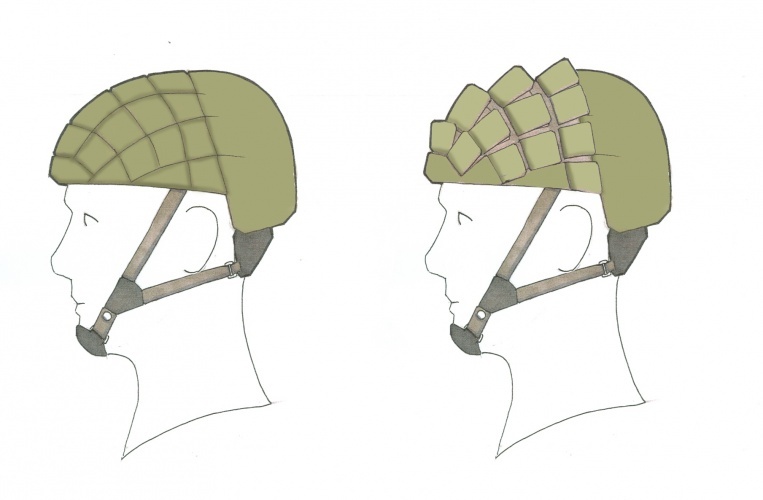 So DSTL has designed the concept helmet with openable vents within its structure to allow air to flow through it and allow heat to escape from the soldier’s head. If the soldier comes under attack, however, the vents can be closed automatically, Holden said. “Each one of the vents has a solid-state actuator on it, so that if the soldier comes under fire, you can close it, and it becomes a conventional helmet,” he added. The actuators could be built from piezoelectric crystals. “If you use piezoelectric crystals as the solid-state actuators, then the incoming boom from the rounds would activate the crystals [automatically],” Holden said. What’s more, since the vent covers are designed to hinge outwards from the helmet, they could still provide protection from projectiles coming from in front of the soldier, even when open. It is not just in body armour and protection that weight savings are needed, however. The weight of armour used to protect vehicles from ballistic impact has also been steadily increasing, according to Prof Steve Burnage, Lockheed Martin fellow, who is based at the company’s site in Ampthill, Bedfordshire. This makes it particularly difficult when fighting vehicles need to be transported by air, for example, for use in rapid reaction forces, he said. “We have been looking for some time at trying to lighten the vehicles as best we can, without degrading the level of protection that is needed, not only to protect the troops, but also the mission that they are on,” Burnage added. In 2012, for example, the company announced it had developed a method to improve the way ceramic armour tiles stick to their backing material or other objects. “The tiles are notoriously poor at sticking to other objects, particularly supporting steel frames and other metalwork, and under more than one round you tend to have the tiles falling off due to shockwave propagation,” he said. 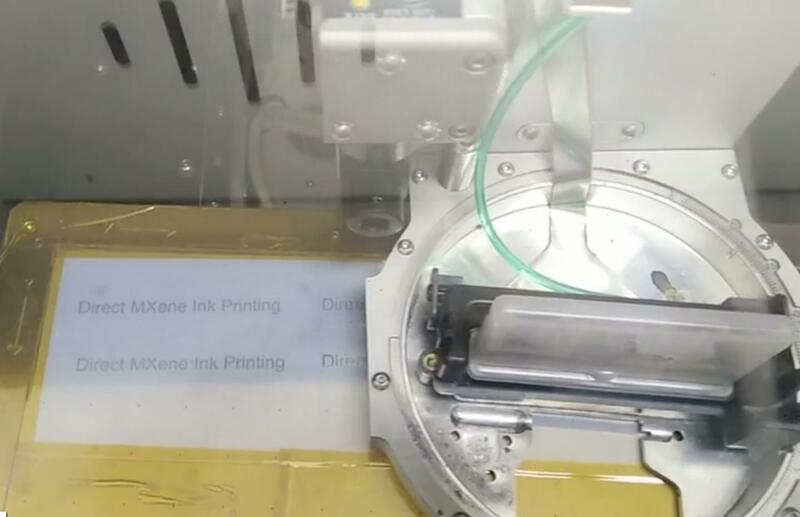 The process, developed with researchers at the University of Surrey, involves treating the adhesive and ‘activating’ the ceramic surface before bonding by exposing the tiles to a high-energy laser. The company is also investigating the use of additive manufacturing to grow sections of metal armour. Using a process known as wire arc welding, the company deposits steel layer-by-layer to form the piece of armour. This allows it to grow even complex shapes, which would be extremely difficult to produce from flat panels of steel without degrading the mechanical properties of the armour, said Burnage. 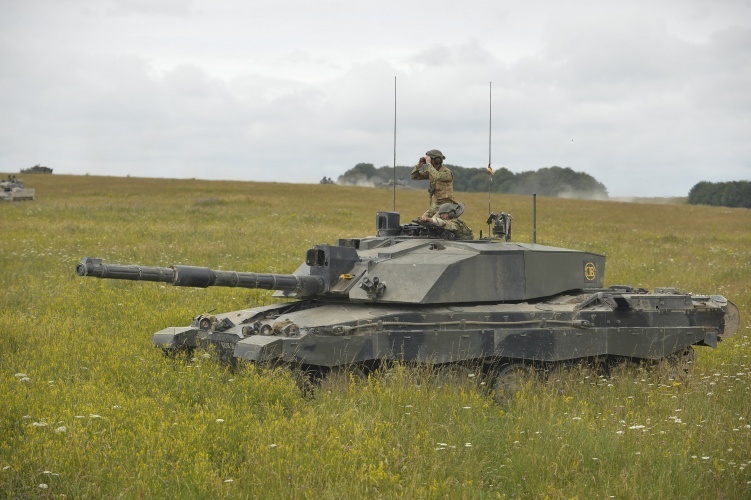 When the team took its prototype plates to the MoD’s COTEC firing range for testing, under the sponsorship of DSTL, it found that they had 98 per cent of the impact resistance of conventional rolled homogeneous armour – or armour hot rolled from a single steel billet. “I think we are quite confident in saying that we can now replace any cast armour, even complex corners of shapes, by the use of this additive manufacturing technique,” he said. By growing one single corner piece of armour rather than having to intersect two sections together, the technique should help to reduce the amount of material needed and therefore its overall weight. It should also be much more resistant to impact, said Burnage. Taking the process a step further, the company is investigating the possibility of growing steel armour around ceramic panels, to create a sandwich system. “We would get the benefit of the hardness and lightness of the ceramic, and the toughness, support and resilience of the additive layers,” he said. Ultimately, developing lighter, more durable armour systems should allow troops and vehicles to move around more easily and quickly, while keeping them safe from bullets and explosive devices. Very interesting to read of this development (I had the privilege of some early work in these fields) though the caution I offer is simple. Ballistic protection primarily encourages ordinary infantry (and specialist police!) to feel more confident to approach danger. Highly laudable aims, but a well aimed ‘shot’, flame, explosion, and shock waves are equally dangerous: and present and projected ‘armour’ is still NOT a full protection for these types of threat. Either ensure that our ‘services’ are never exposed to such (by political solutions to problems) or the running shoe option previously described?